Over a year ago, I wrote a post on this blog speculating that one reason why more men played the guitar than women was simply the dimensions of the instrument. It’s not that women aren’t attracted to the guitar; lots start to play it. But the trouble is that as they get better and the music gets more interesting, the stretches that they must make with their left hand become uncomfortably long, if not physically impossible, unless they have a unusually wide finger span. No one seemed very interested in this theory (I don’t think I received a single comment) but, even so, I thought it would be worth making a smaller guitar with a shorter scale length, a narrower fingerboard and closer string spacing as an experiment. You can see photographs of the instrument here. It has been played by lots of guitarists both professional and amateur, both men and women. Most of them said they liked it and nobody complained that it made too small a sound, although a few of the men found that their fingers were too cramped at the nut end of the fingerboard. 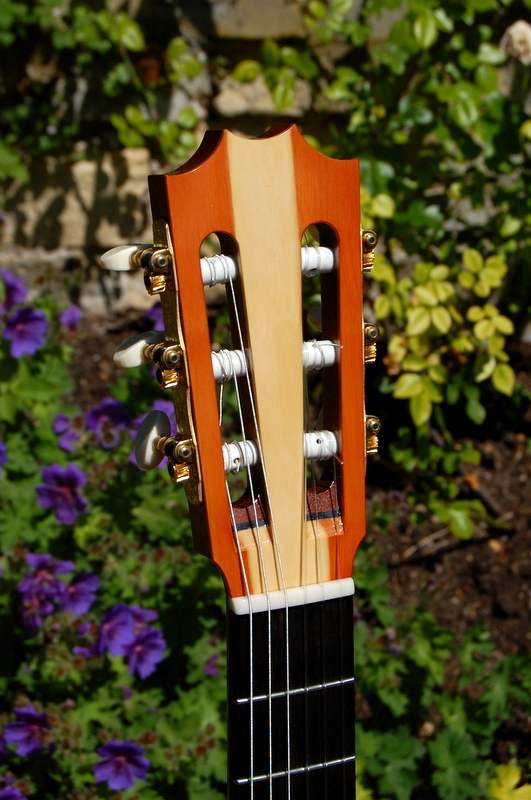 And it did persuade someone to commission a similar instrument, shown below. 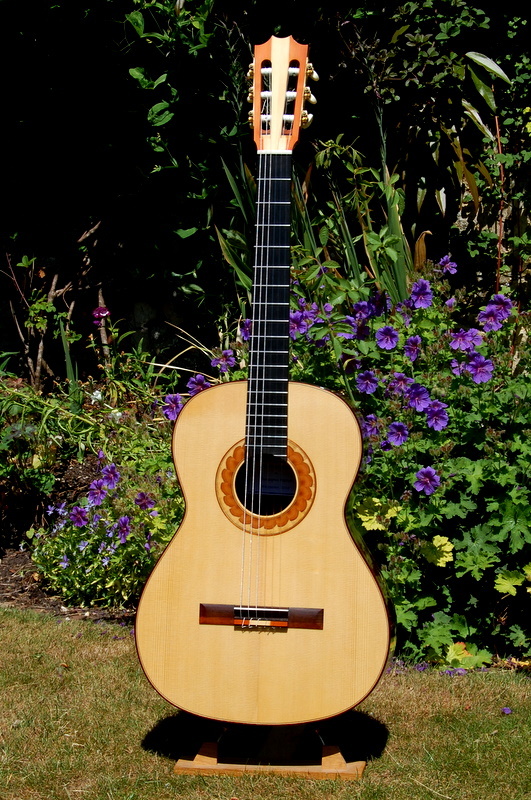 It too, is a loose copy of a Hauser guitar. 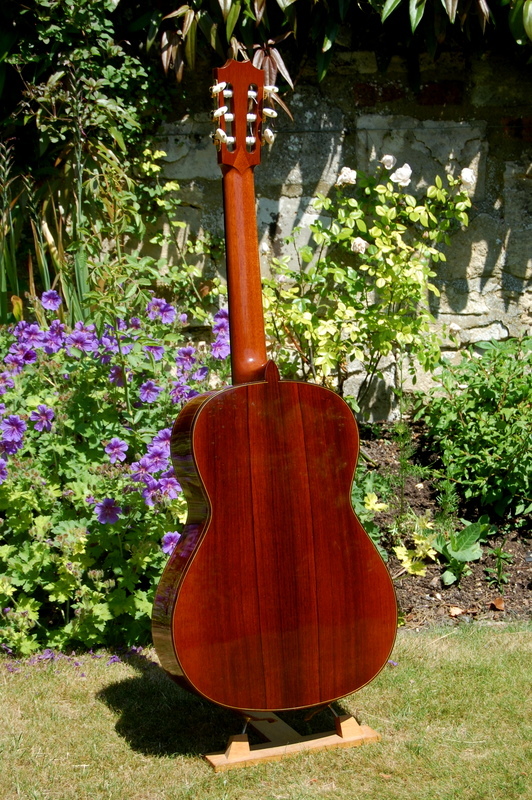 The soundboard is spruce and the back and ribs are of Madagascan rosewood (Dalbergia baronii). 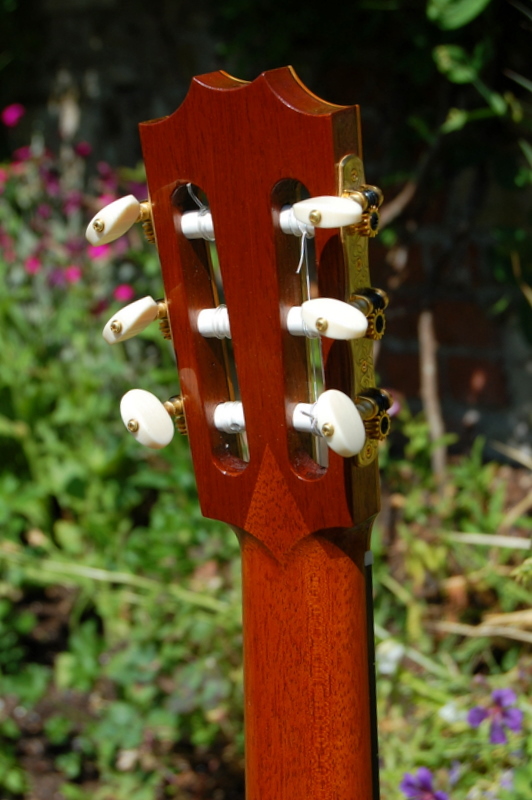 The bindings and bridge are of Rio rosewood and the rosette and headstock veneer are of English yew. 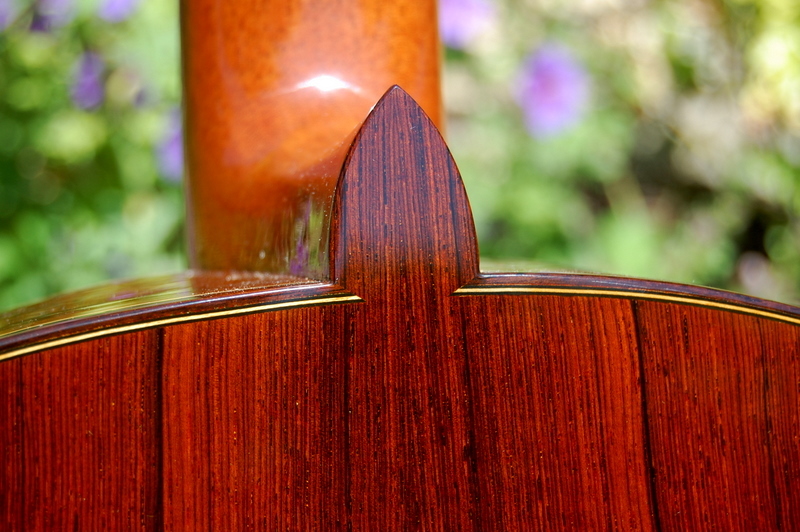 The scale length is 630 mm; the width at the nut is 48mm; and the string spacing at the bridge is 56mm. 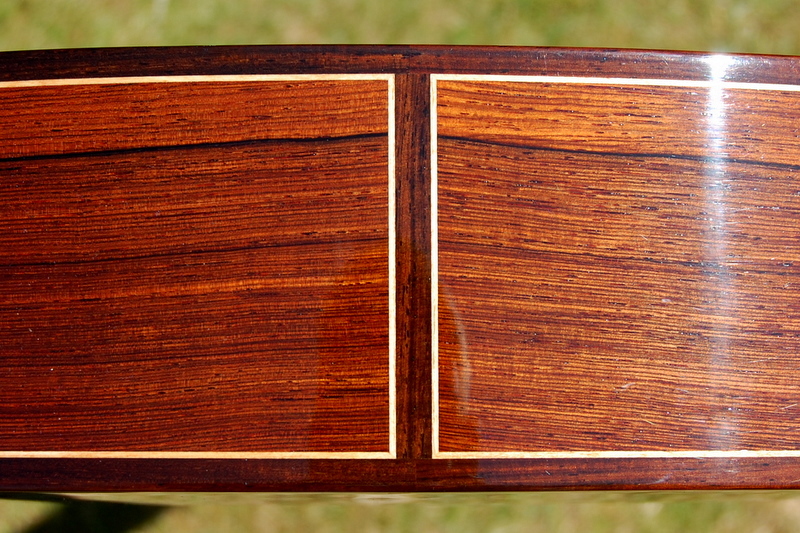 I’m pleased both with how it looks and how it sounds and I hope its new owner will be too.